Whether organising cargoes for your own, operated or chartered vessels, you need information at your fingertips to maximise container uplift and ship utilisation. 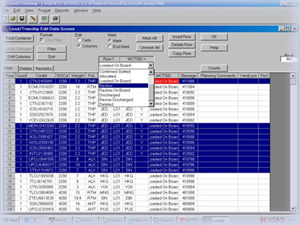 PLANMASTER is a highly sophisticated, intricate software system that has been designed to help the busy ship planner achieve these tasks smoothly and efficiently. This market leading software provides the ideal tool for ship planning and stowage coordination. It is both powerful and versatile, meeting the needs of today's ship operations, including the complexities of joint services, consortia and slot sharing agreements, transhipments, terminal ship planning. PLANMASTER’s design team of ex-Ships' Officers, Naval Architects, Vessel System Engineers, Software Engineers and Computer Scientists ensures that the product is a perfect fit with the requirements of major Liner Operators, Shipowners, and Port Authorities worldwide. 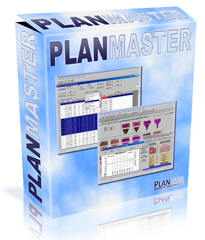 The PLANMASTER system, originally developed from the TASKMASTER Shipboard Loading Computer has been marketed and sold since the 1980s and therefore represents one of the longest established marine software products in this field, with a proven track record of satisfying client needs. Windows based, easy to use screens including 'tool bar' buttons and online help. No computer expert necessary; user friendly, point and click application. On-screen visualization of containers with extensive filter and sort capabilities. 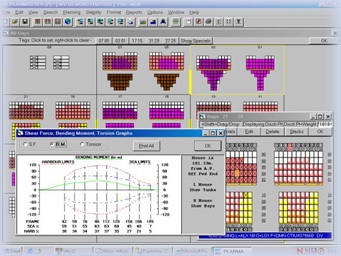 Optimize stowage through computerized planning. Manage discharge, restow, loading and transshipment operations. Organize containers onboard ship easily from block to individual container level. Produce instructions and reports for Terminals, local Agents and internal use including bayplans, letter plans, lists, forecasts, and restow consolidation reports. Standardize information, enabling a smooth progression of work. License options covering single sites, additional secondary sites, or on a worldwide basis for any vessel owned, operated or chartered by the customer. Flexibility to distribute all or parts of the system to an unlimited number of sites with no necessary locking mechanisms to control distribution. Workbench tools to set up a complete database of vessel profiles. Export data for voyage statistics and container control using Microsoft Access™ voyage database files. Improved planning through application links. Hazardous Cargo Segregation Checks and IFTDGN EDI message. Easily highlight stowage conflicts. Supports the electronic notification of Dangerous Goods to Port Authorities. Dedicated help desk and support service with regular software updates. Ongoing contact with customers. Call, fax, or E-mail us for assistance.